When you are looking for high-quality repairs, installation and maintenance for a water heater, air conditioner, HVAC system or furnace in the Ammon area; give Doug’s Construction and Repair a call. We are skilled specialists, and our services are available 24-hours a day and seven days a week. We are also proud to offer financing for our customers that might not be expecting an emergency repair. To learn more, keep reading. Far beyond your typical heating and cooling services company, we have a full-service team that can take care of any aspect of your home’s air or water quality. For example, in addition to the 24/7 emergency service available, we also offer installation of new machines, inspections, repair and maintenance. Like an automobile, the machinery that keeps your water hot and your air cooled or heated needs a tune-up on occasion. For this reason, if you are paying for a home emergency we see as avoidable, we might suggest a preventative maintenance plan for your home. By scheduling regular maintenance you’ll avoid costly emergency repairs or replacements. Should you need a replacement we offer bid-matching for same class of appliance. We also offer same-day funding with a simple application to help our customers find the affordable financing. When all you want to do is be able to turn your thermostat up or down and get the right temperature in your home, we have the rest of your bases covered. For example, we offer new installation, repair and maintenance for heater types such as single and two-stage as well as the energy-efficient modulating heaters. When it is time to replace an appliance in your home, we make it easy to pick the right heating or cooling machinery. For issues related to airflow, heating or cooling distribution, we can install new ducts or vents. 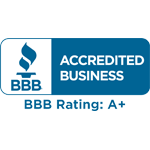 In addition to our services, we also team up with Goodman Air Conditioners & Furnaces and other repair companies that have maintained an exceptional BBB rating. We also help to set our customer’s expectations by giving them a general idea of what our pricing will be. For instance, as part of our transparent pricing, we help the customer to know the long and short-term of repair costs compared to machinery they could be buying. Sadly, in some cases, the average air conditioning repair for older models is over $1000, but the newer energy-saving models may provide more long-term benefits by saving money on monthly utility bills. Although we do not make a lot of money on installations versus repairs, it is in the customer’s best financial interests to buy a new, energy-efficient heating or cooling unit in the long-term. Having hot water can take on many forms, and our water heater Ammon customers know they can rely on us for the repairs they need. We also install and maintain a wide variety of tanked, tankless water heaters and boilers. Like all of our repairs, we will let you know if the cost of the repair will be more than investing in a new installation of an energy-efficient model. We will also help you determine if you prefer to keep the tanked water heaters that have a life expectancy of about 10 years versus a tankless water heater. To keep your systems working optimally throughout the year, we recommend an annual inspection and maintenance service. This service will also help keep your utility bills in check. Whether you are an air conditioner Ammon customer or have another heating, cooling or water temperature concern, we are one call away 24-hours a day, seven days a week. We have service starting at $90, and our prices go as low as $35 a month for a new unit. We are happy to help in an emergency, but also have time to schedule an inspection, repair or maintenance request. Keep in mind that we are happy to help all of our customers, and we have easy financing available to ease the cost of our services. To find out more, contact us today.